The Toughest Flashlights on the Planet. FREE USA SHIPPING ON ALL FLASHLIGHTS! Choose a product line below and configure your perfect Light. Alpha Models produce 415 lumens from a single CR123A battery. At only 4-inches long, these compact powerhouses are perfect for everyday carry (EDC), pocket carry, and other applications where small size and high output are required. Bravo Models operate on two CR123A batteries, produce 650 lumens of nuetral-tint light and can be configured in 24 variations. 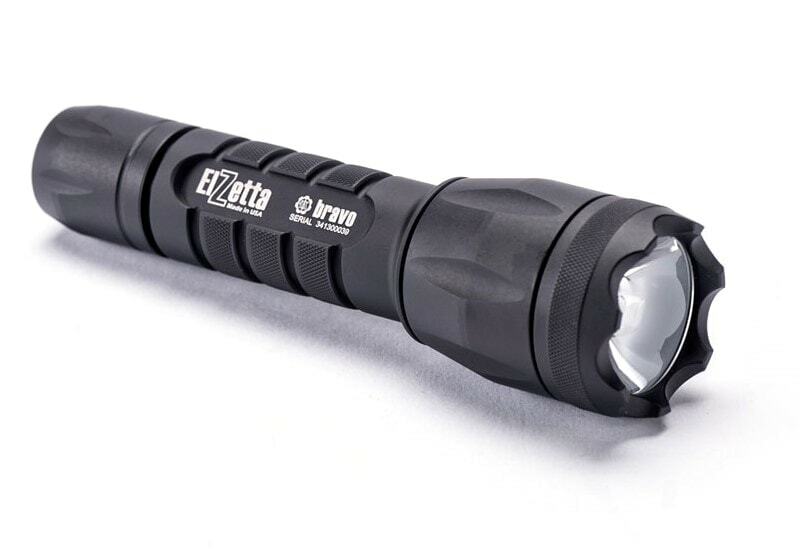 With such tremendous flexibility, the Bravo series is our best-selling line of flashlights. Charlie models deliver 900 honest lumens operating on three CR123A batteries for outstanding output and runtime. 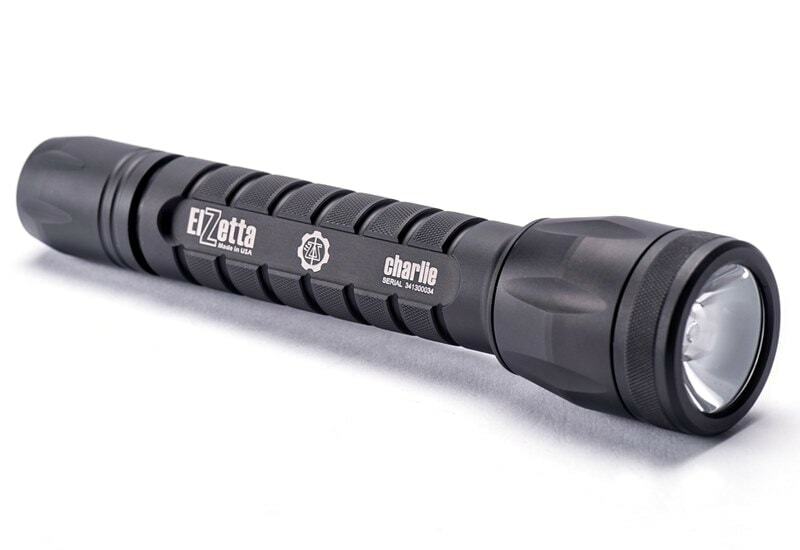 Long enough for a full hand grip yet compact enough to carry every day, the Charlie line is the way to go when high performance is the ultimate goal. 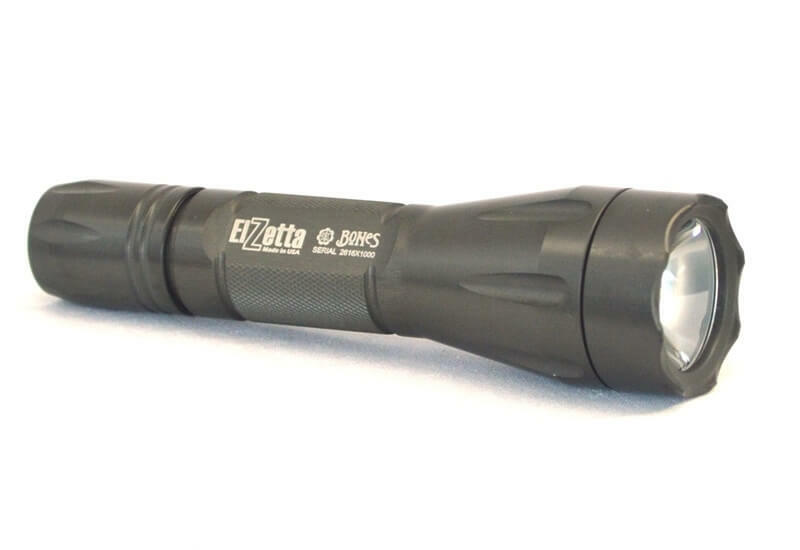 Elzetta Bones is a bare bones, no frills flashlight with legendary Elzetta performance and durability. 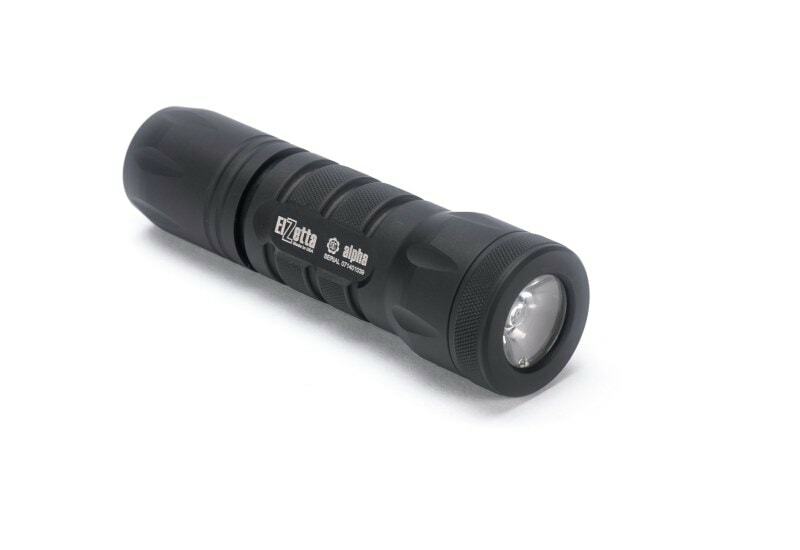 It produces 650 lumens and is compatible with 18650 rechargeable batteries. Operation is bone-simple. There are no secondary modes and on/off is achieved with a basic push-button that operates like a common ballpoint pen.